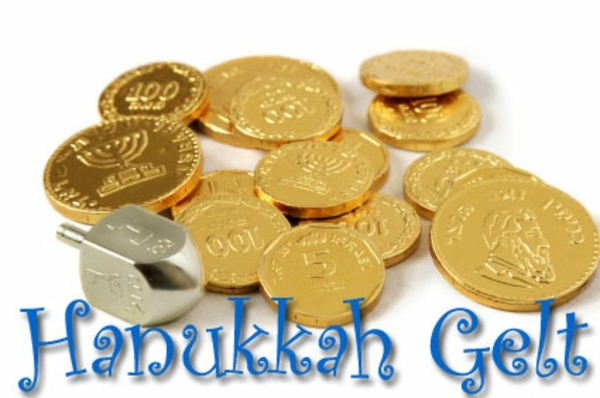 Chanukah Gelt (In Yiddish for money) is often distributed to children to enhance their enjoyment of Hanukkah. The amount is usually in small amount of coins, although grandparents or other relatives may give larger sums as an official Hanukkah gift. In Israel, Chanukah Gelt is known as D’mei Chanukah. Many Rabbis distribute coins to those who visit them during Hanukkah. Today, chocolatiers like Oh! Nuts picked up on the gift coin concept by creating chocolate gelt, or chocolate shaped and stamped like coins and wrapped in gold or silver foil. Chocolate coins is often used in place of money in dreidel games or for Chanukah Gelt. Starting At: $13.99 per lb.